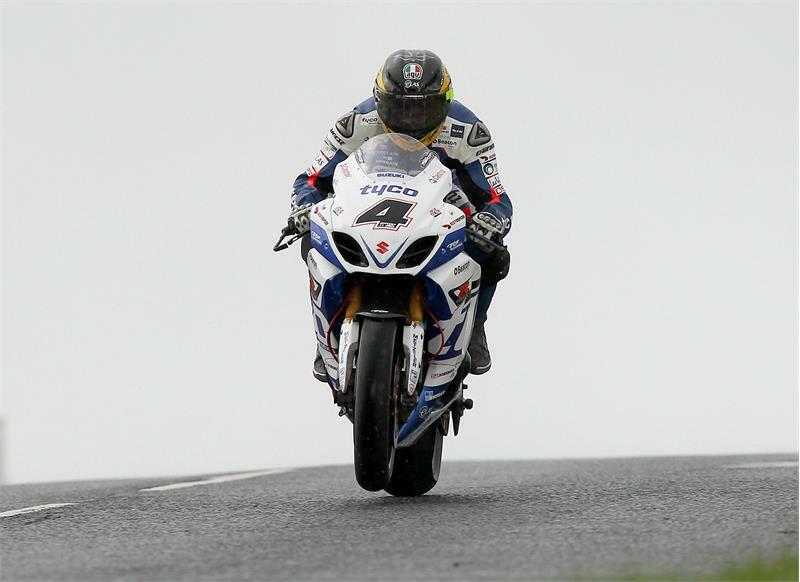 Guy Martin will start tomorrow’s six-lap Dundrod 150 Superbike race in Northern Ireland from pole position after posting the fastest time during today’s qualifying in inclement weather conditions on the famous 7.4-mile Ulster Grand Prix circuit. The Tyco Suzuki rider also posted a provisional front-row grid position for Saturday’s Metzeler Ulster Grand Prix Supersport race with third place with further qualifying to take place tomorrow because of lengthy delays. Martin’s day was not without drama, ‘brushing’ the back of a slower rider who was touring on the approach to Deer’s Leap, leaving the unsighted Lincolnshire man to test his reflexes and heart rate! Superbike Qualifying: 1 Guy Martin (Tyco Suzuki) 3:51.519 [115.083mph], 2 William Dunlop (Yamaha) +2.404s, 3 Bruce Anstey (Honda) +4.373s, 4 Michael Dunlop (Honda) +6.398s. Supersport Qualifying: 1 William Dunlop (Yamaha) 3:51.362, Michael Dunlop (Honda) +0.053s, 3 Guy Martin (Tyco Suzuki) +1.801s, 4 Dean Harrison (Yamaha) +5.274s.